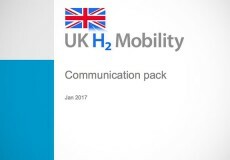 The UK H2Mobility Project is a partnership of UK industry leaders and Government, working to make hydrogen-fuelled transport a reality. To support the introduction of hydrogen as a transport fuel by developing and implementing a strategy that will help to decarbonise road transport, create economic growth, diversify energy supply and improve local environments. 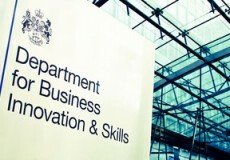 The partnership has drawn up a roadmap detailing how the UK can build a hydrogen refuelling infrastructure to support the introduction of Fuel Cell Electric Vehicles (FCEVs). Initially the focus will be to build an infrastructure serving metropolitan areas and the major routes which link them, progressing to nationwide coverage by 2030. FCEVs have the potential to deliver wide and lasting environmental and economic benefits. These include zero harmful emissions, a pathway to complete decarbonisation of road fuels and economic benefits arising from new manufacturing of hydrogen vehicles, refuelling stations and the hydrogen fuel itself. With a refuelling infrastructure in place, hydrogen will become a viable fuel for transport and the UK will be in a strong position to maximise the opportunities it will offer.